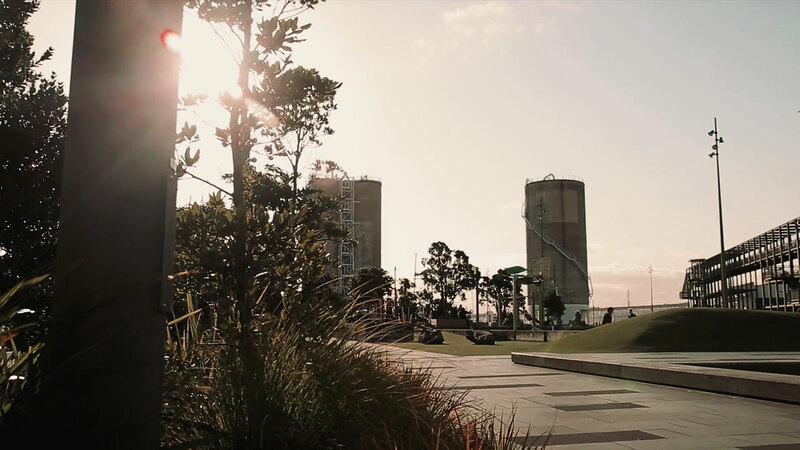 Wynyard Quarter is currently undergoing the largest urban regeneration in New Zealand outside of Christchurch. It’s pretty darn significant, with a scale that is comparable to the Auckland CBD. 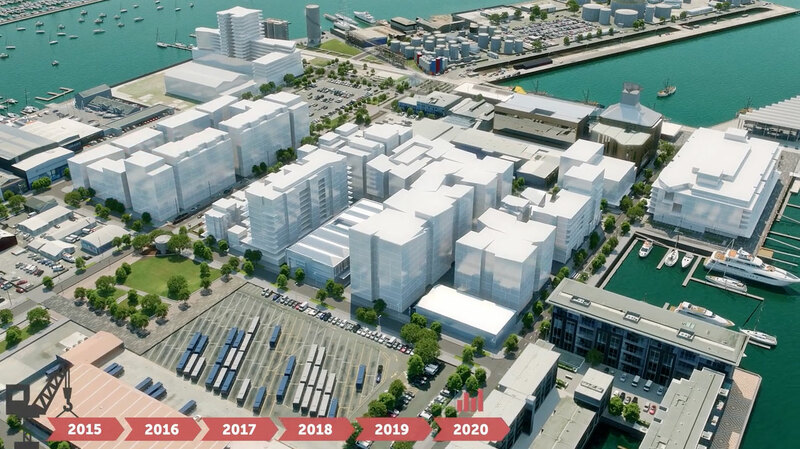 By the time Wynyard Quarter is fully developed in 2030, it will be home to around 3000 residents and 25,000 workers. 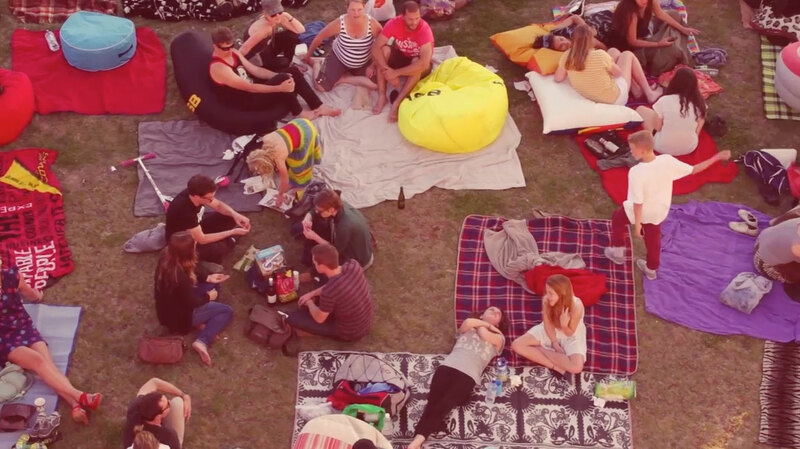 We are creating a part of the city where all people can enjoy a high quality of life. An important part of this is creating an accessible neighbourhood that is easy to get around and where people feel connected to the wider city. One of the most challenging elements of the revitalisation is making it easy for people to move in to, and around the neighbourhood. Bordered on three sides by the sparking Waitemata Harbour, there are just three roads and a pedestrian and cycling bridge available for entry and exit into Wynyard Quarter. With the increase in people living, working and spending time in the area it is important that we encourage people out of their cars and to move around via walking, cycling and public transport. This approach to transport is driven by the Wynyard Quarter Transport Plan. The plan sets the challenging goal of achieving a “70:30 modal split” this means that 70% of all peak hour travel into and around Wynyard Quarter is made by public transport, cycling, walking and carpooling by 2030. Panuku Development Auckland is working on a range of transport initiatives that focus on improvements to walking, cycling and public transport. 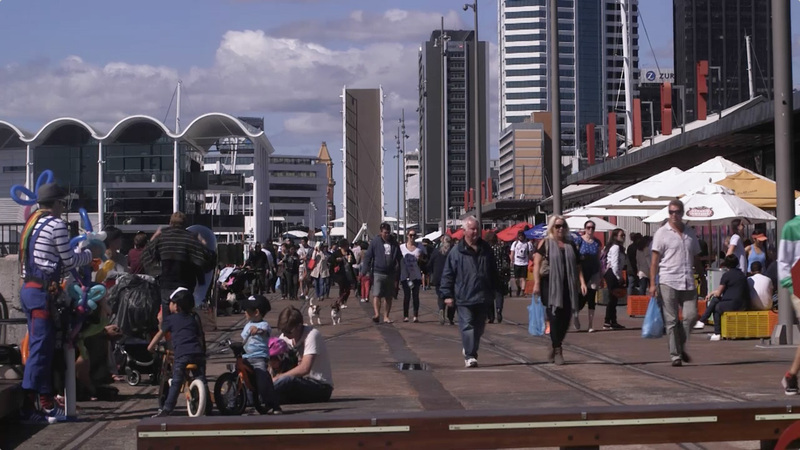 The quality of the pedestrian and cycle environment in Wynyard Quarter has already demonstrated that people tend to walk further here than in other parts of the city, and we want to build on this. We are working with Auckland Transport on enhancing public transport access and frequencies to the Quarter and connecting with the regional cycle network. Small things make a difference, such as car and bike share schemes. We have an opportunity to try new things, use technological advances, online and real time information, which can translate to less reliance on the private car. All of these approaches provide choice for those living, working and visiting Wynyard Quarter.